How simple and effective it all started out to be. Just ten very simple laws so easy to understand that even toddlers were taught along with their first language lessons. Fast forward to America 2014. 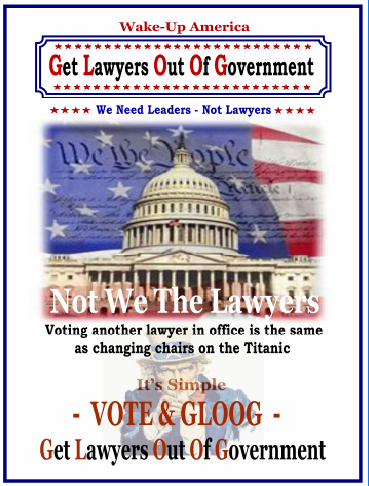 The lawyer oligarchy is fully entrenched and has secured their power by writing and passing laws that control everything and everybody. 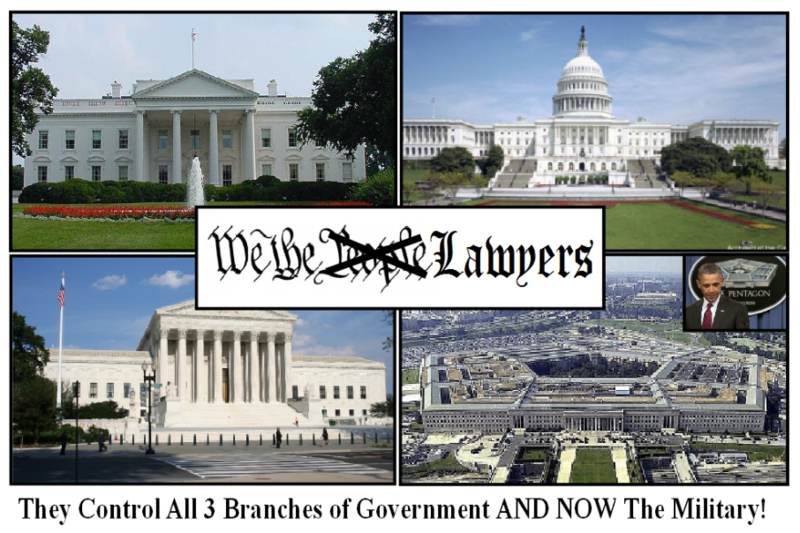 Not to mention that they have taken over most of the elected offices in all 3 branches of government. 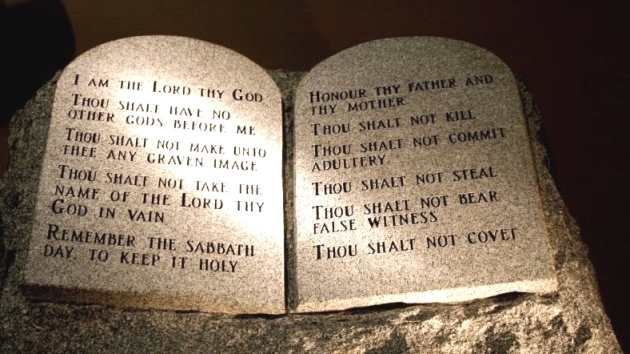 From the powerful Ten Commandments on a single stone tablet to the Inspired American Constitution consuming all of 17 pages, we come to the latest laws which are so voluminous and complex that even the lawyer politicians, the one’s who wrote them, can’t explain them! Thousands of pages for a single law and tens of thousands of laws and regulations guarantee that America and it’s people no longer live in a free republic and that the privileged group who write and administer these laws will have a ‘boot on the neck’ of almost anyone who challenges them. Too Many Laws – What Do You Expect? What’s gone wrong with modern democracy? Polarized politics is one villain. The rise of political extremism is apparent. But why is it happening? The main culprit, ironically, is law. Generations of lawmakers and regulators have written so much law, in such detail, that officials are barred from acting sensibly. Like sediment in the harbor, law has piled up until it is almost impossible — indeed, illegal — for officials to make choices needed for government to get where it needs to go. The most rudimentary decisions of government require moving mountains. Approving new infrastructure projects takes a decade or longer. Failures of implementation become failures of policy. Recently the White House issued a five-year report on the $800 billion stimulus plan from 2009. Part of the original goal, as President Obama announced then, was to “rebuild America’s infrastructure.” So how much of that huge stimulus went to this worthwhile goal? Buried in the fine print of the report is this fact — barely 3 percent went to transportation infrastructure. Why? The president of the United States lacks the power to approve the rebuilding of decrepit bridges and roads. In the New Deal, by contrast, Harry Hopkins had employed 2.6?million people two months after he was named head of the new Civilian Works Administration. In concept, restoring responsibility is not difficult. Every law with budgetary impact should sunset, so that lawmakers must reset priorities and adapt to new circumstances. Most laws should be radically simplified into an open structure of goals and principles, leaving flexibility for officials to get the job done. But the problem with too much law is that it’s the law. No one, not even the president, can get around it. Democracy can’t work until this dense legal jungle is rewritten to permit officials to take responsibility again. Toppling this paralyzed system requires not reforms here or there but a heave-ho. Wherever you think the United States needs to go, we can’t get there from here. Let’s stop beating our heads against the wall. Our government is failing not because of bad policies but because of flawed institutional design. No one is allowed to take responsibility. Sooner or later, this system will collapse. It’s time to form a movement to rebuild this broken structure.